Bangladesh has urged the UN Security Council to undertake visits to Myanmar and Bangladesh to witness the humanitarian situation of the Rohingya amid continuous influx of the refugees. The visit on the ground would add “momentum to the repatriation process,” said Masud Bin Momen, permanent representative of Bangladesh to the UN, at a Security Council meeting in New York on Tuesday. The call comes as nearly 700,000 Rohingya refugees fled to Bangladesh, and the influx, though reduced in recent weeks, continues despite Myanmar’s assurances of stopping violence in Rakhine. In the first 10 days of February, about 1,500 Rohingya fled to Bangladesh, Momen told the Security Council meet, the fourth on the crisis since violence began in late August. The victims cited persistent threats from security forces and armed vigilantes, acute food shortages, denial of access to local markets, forced closure of businesses, abductions and sexual violence of young women, said a statement by the Council, citing the Bangladesh diplomat. Emerging evidence of targeted killings and the discovery of mass graves in Rohingya villages in northern Rakhine State could explain the prevailing reluctance by those forcibly displaced to go back, Momen told the meeting. 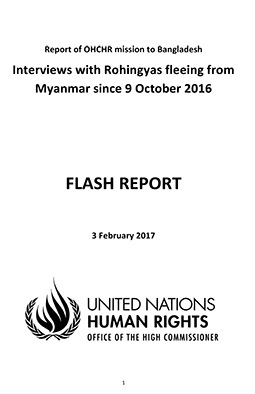 “It was concerning that the Human Rights Council fact-finding mission continued to be denied access to Rakhine State,” he said. The UN and other countries, except China and Russia, also said the conditions in Myanmar were not conducive for the return of the refugees, though Myanmar has signed a repatriation deal with Bangladesh.But Myanmar Ambassador to the UN Hau Do Suan said authorities had been providing food and household needs to all communities in Rakhine, in addition to taking initiatives for economic development, the statement added. As per the repatriation deal, Myanmar would receive 300 returnees a day, and the number would be eventually increased, Suan said. China and Russia, whose vetoes at the UNSC earlier prevented the world body from taking any concrete action against Myanmar, stressed on bilateral solution and expected “constructive role” of the international community and the Security Council. “The situation on the ground had been visibly eased and humanitarian relief efforts had been carried out, while the affected countries had engaged in productive consultations,” said Chinese Ambassador to the UN, MA Zhaoxu. However, Miroslav Jenca, UN assistant secretary-general for political affairs, said although large-scale acts of violence had subsided in Rakhine, concerns persisted over threats and intimidation against the remaining Rohingya population from Bamar and Rakhine communities and security forces. The majority of humanitarian organisations that previously worked in Rakhine have no access to Rakhine, while the UN did not have sufficient access to make a meaningful assessment of the situation there, he said. Filippo Grandi, the UN High Commissioner for Refugees, said the conditions were not yet conducive for the voluntary repatriation of Rohingya refugees. 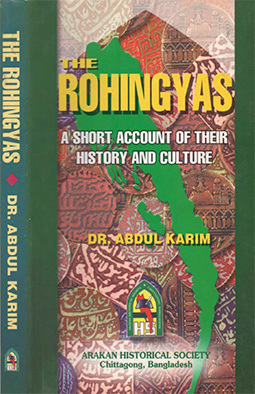 Referring to the building of temporary shelters for the returnee Rohingyas, he said construction of infrastructure to support the logistics of return should not be confused with the establishment of conditions conducive to voluntary repatriation. Jonathan Guy Allen, British envoy to the UN, said the parties should take concrete steps to ensure that refugees are not sent to internment camps. 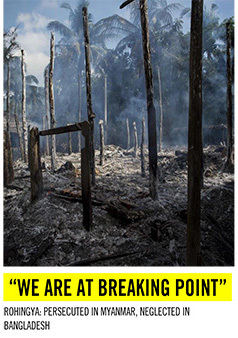 More details emerged last week of atrocities committed by Myanmar security forces, and even now Rohingya fled starvation. What was happening was ethnic cleansing, he said. He also urged the international community to do more to support Bangladesh that now hosts more than 1 million Rohingya refugees. Francois Delattre, French envoy to the UN, stressed that the UNHCR was part of discussions as part of a tripartite agreement with Myanmar and Bangladesh. Representatives of Sweden, the Netherlands, Peru, Ethiopia, Côte d’Ivoire, Equatorial Guinea, Poland, Kazakhstan, Bolivia and Kuwait also spoke at the UNSC meeting.